Today’s parents may have grown up watching some of the old Bob Hope, Bing Crosby, and Dorothy Lamour “Road” pictures on television. If so, there’s a good chance they might want to share them with their children. 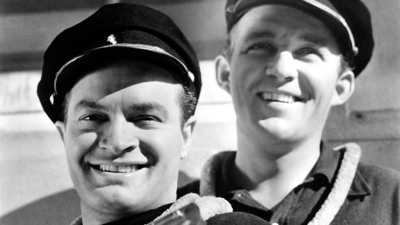 A showcase for Crosby’s crooning, Lamour’s singing and dancing, and Hope’s second-banana wisecracking, the Road pictures were pure escapism for an America that was weighed down by WWII. 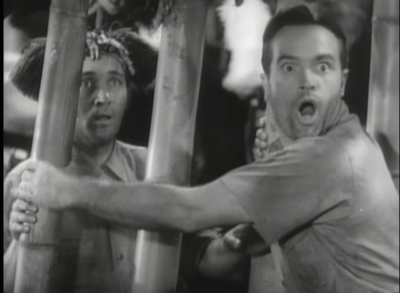 Hope and Crosby, two vaudevillians who rose to become popular stars of their own radio shows, had made the leap to film, and the genius who paired them deserves a medal. 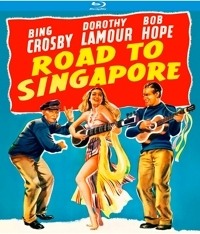 The first of the Road pictures, The Road to Singapore, became the highest grossing film of 1940. Though it’s not the best—that honor goes to Road to Morocco (1942) and Road to Utopia (1945)—it lays the foundation for the films to come, though it was originally only intended as a one-and-done film. 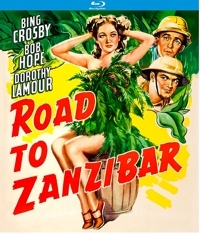 But the public wanted more, and Road to Zanzibar followed in 1941, and Road to Rio (1947), Road to Bali (1952, the only color release), and the Cold War entry The Road to Hong Kong (1962). All of the films were made during a time when Hollywood (and the rest of the world, really) was not terribly educated about or sensitive to issues of race and gender. So you’re going to have to overlook some period-typical dialogue and characterizations, as well as “natives” that seem a blend of big Hollywood musical dancers and a bag full of different cultures. Thankfully, Hope and Crosby make that easy to do. In all of the Road pictures, they play a couple of ne’er-do-wells who are either petty con men and womanizers seeking to stay one step ahead of the law or world-traveling vaudeville-style entertainers . . . and womanizers seeking to stay one step ahead of the law. That might not sound like family entertainment, but the pictures truly are escapist fare with an emphasis on the one-liners, ridiculous plots, and the inevitable romantic tussle over Lamour (with Crosby always getting “the girl”). That just about covers it, unless you happen to be an Anna Kendrick, Hailee Steinfeld, or Rebel Wilson fan. 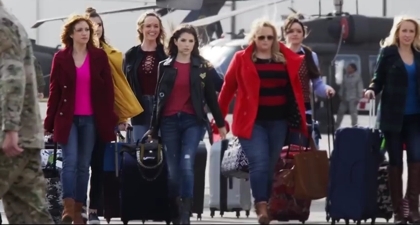 The original Pitch Perfect was a perfect combination of a cappella performance and competition drama, with plenty of romantic sideplots to add interest. 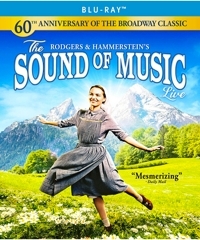 Hitting theaters just three years after Glee captured fans’ hearts and imaginations, the 2012 film had fans begging for more. 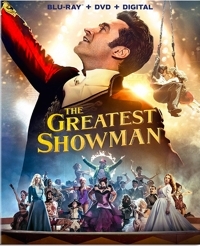 In Hollywood, of course, that means sequels, and sequels, especially with dance, cheerleading, and vocal music movies, almost always illustrate the law of diminishing returns. Each movie seems to get a little worse, until finally fans can’t take it any more. Pitch Perfect was a strong B+, and while Pitch Perfect 2 wasn’t as successful, it was still fun because the sideplots and international flavor were enough to compensate for the plot being pretty much the same. And when it came right down to it, the other groups that the Bellas competed against had enough personality and interest to make you care about the competition. 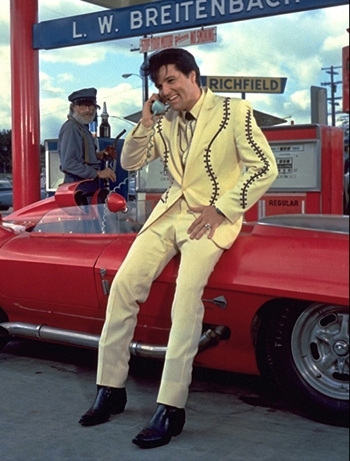 Three Elvis Presley movies were released in 1966—two of them contemporary (Paradise, Hawaiian Style and Spinout) and one of them, Elvis’s 20th film, a costumed period musical in which Elvis plays a riverboat entertainer and inveterate gambler. 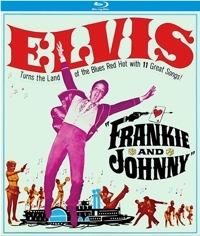 Though there are “11 great songs” advertised for Frankie and Johnny, only two of them are true Elvis tunes where The King actually gets into it: “Shout It Out,” a typical nightclub performance number that gets him smiling, clapping, and gyrating with the Jordanaires backing him up, and “Hard Luck,” a blues he sings accompanied by a shoeshine boy on harmonica. The rest are hokey period or vaudeville-style numbers that make Presley look straitjacketed and uninterested. 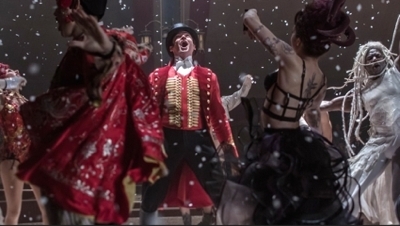 In fact, the 1890s costumes in this musical make him look so uncomfortable that you can tell he’s feeling out of his element. So are we. It’s not your typical Elvis movie. If it seems plot-starved (and it does), that’s because it’s basically an expansion of the popular story song “Frankie and Johnny,” which appeared in various forms from the late 1890s through 1912. As the song goes, Frankie and Johnny were lovers, but when Frankie caught Johnny two-timing her and “doing her wrong,” she shot him with her .44. It started with Jailhouse Rock (1957), the film that established the Elvis film character as a brooding James Dean, often with a chip on his shoulder, but with a good guy hiding under the facade. That character would appear with only minor alterations in most of his 23 films made between 1962 and 1969. By comparison, during that same period John Wayne made 17 films. Both were box-office giants. Many of the films from this period are “a-go-go” films, and if you’re a fan of the Zucker-Abrahams-Zucker spoof Top Secret! 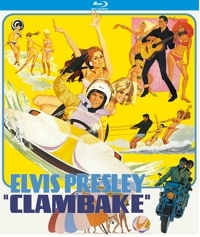 you’ll see in the formula Elvis movies what they were making fun of. Today’s families will find these lightweight musical comedy-romances fun to watch, but also fun to make fun of. Some of the dancing, some of the clothes, some of the antics are just plain hilarious now, though they were intended, like the Frankie Avalon and Annette Funicello “beach” movies, to be campy and fun even back then. They feature plenty of mod and mini-skirted and bikinied women and goofy guys doing the swim, the frug, the monkey, the jerk, and all those dances that were so cool then but look so silly now. 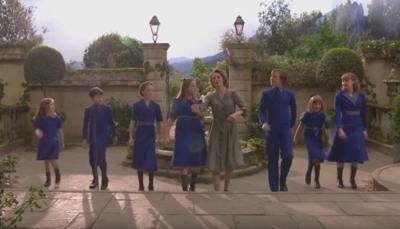 What will seem even sillier to modern audiences are the backgrounds that were clumsily and unapologetically used (like the mountains in the background of this film set in Miami), or the far-fetched ways in which the writers sought to bring Elvis in contact with children. Yes, children. You see, the Elvis film persona was meant to be everything to women: a bad boy, a nice guy, a singing romantic, a tough guy when he had to be, a clean-living guy who usually refrained from alcohol and tobacco, and a good-looking guy who was so good with kids that women saw him as father material. Despite the attitude, Elvis was the kind of guy you could bring home to meet Mom and Dad.